Hospice of the Valleys began in early 1982 by two sisters in Sun City, California who recognized the need for specialized end-of-life care for people in their community. In order to make this care available, these sisters received hospice training as volunteers and began going door-to-door raising money on their patients’ behalf. After years as a volunteer-run organization, Hospice of the Valleys eventually became a full-service, nonprofit 501(c)(3) organization. Today, Hospice of the Valleys employs a team of experienced clinicians and administrative professionals, and continues to have a group of dedicated volunteers who touch the lives of our patients each and every day. 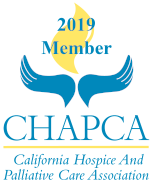 After more than 30 years of caring for hospice patients living in Southwest Riverside County and Fallbrook, Hospice of the Valleys remains committed to the mission of its founders by providing loving hospice care to all who need it, regardless of their ability to pay. To be a recognized leader of excellence in comprehensive end-of-life care. We seek to embody the hospice philosophy in all we do, including: the affirmation of life, promotion of self-determination, education, understanding, and acceptance. We dedicate ourselves to the values of compassionate care, loving presence, and the sustenance of hope for those dealing with the many difficult challenges at the end of life. We believe that transformation and healing are a part of the dying process and change all who participate in this sacred experience. We advocate sensitivity, attentiveness, and respect of all persons as we honor each life entrusted to our care. We support a culture of teamwork and professional collaboration. We embrace the calling to work diligently to provide leadership as educators and advocates for the suffering and dying in our community. We hold ourselves accountable for the valuable resources which we have been given and vow to use them responsibly. 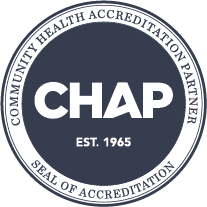 We are committed to the highest standards of personal and professional ethics and integrity, and maintain the highest standards of excellence in the provision of care. We continue our professional growth through advanced training and educational certification.